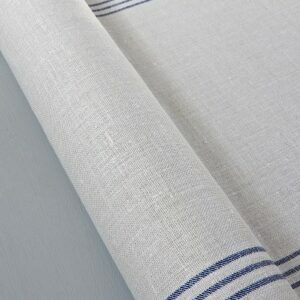 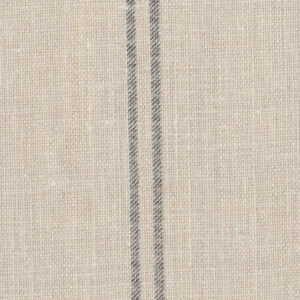 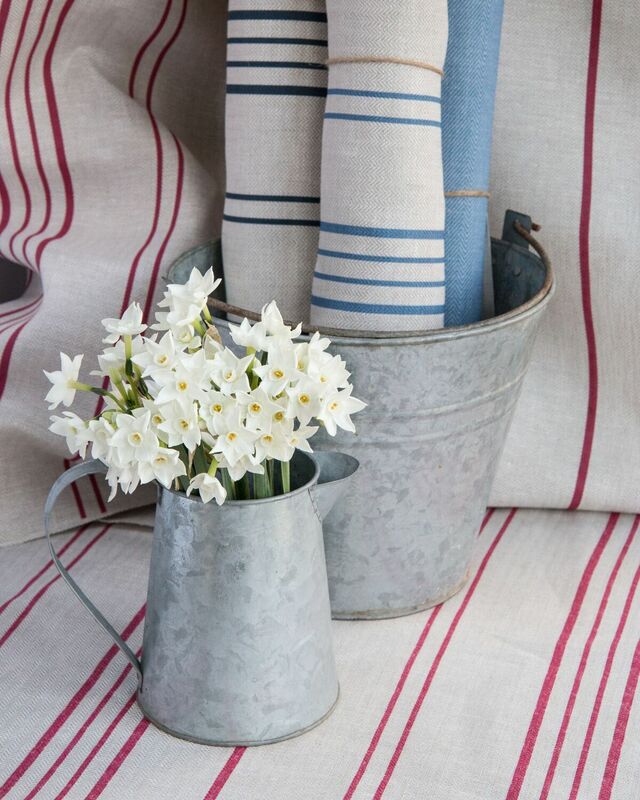 Classic French Ticking on our lovely thick rustic Herringbone Linen. 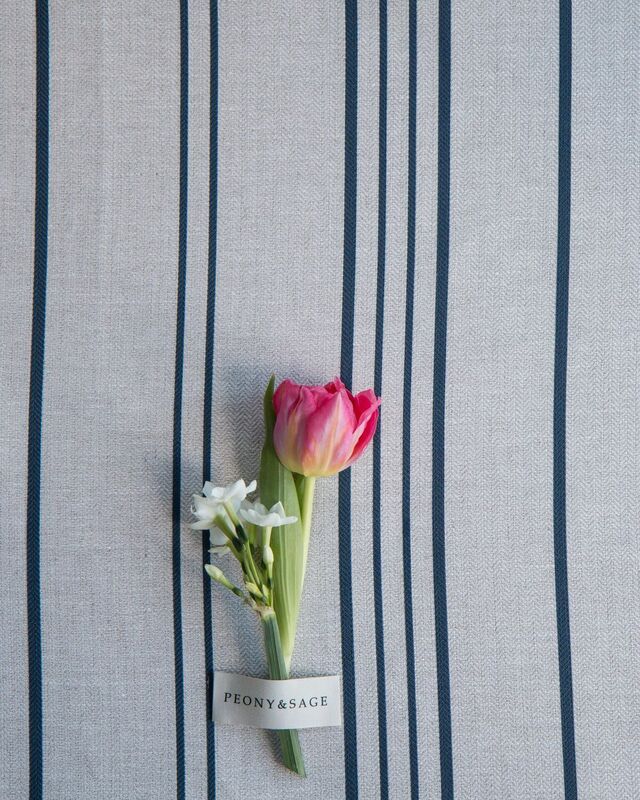 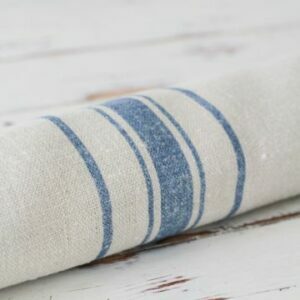 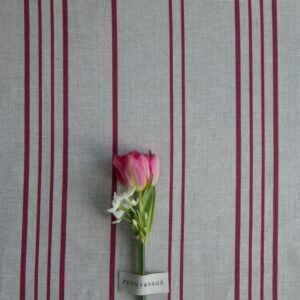 Love this on its own as puddling curtains for kitchens, living rooms and boys bedrooms. 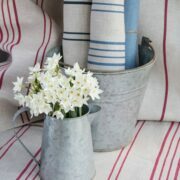 Goes beautifully with Seahorses Squid Ink Blue, if you want stars to match just ask.